In 2003’s Girl with a Pearl Earring, a fictionalized Johannes Vermeer (played by Colin Firth) recruits a model (Scarlett Johansson) to sit for one of his most famous paintings. 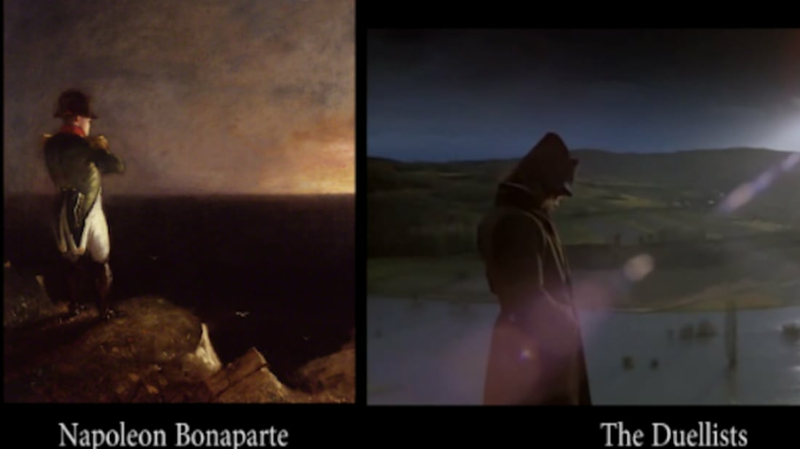 It’s one of Hollywood’s more direct interpretations of iconic art: Most of the time, directors and production designers pay homage to their influences in more subtle ways. Filmmaker Vugar Efendi has made two short videos compiling a number of scenes that reference art you may have missed, including shots from Psycho, Lost in Translation, There Will Be Blood, and Inherent Vice. While we wait for the inevitable Mona Lisa origin story, you can check them out below.